Our expert research team develops in-depth profiles, including relationships, publications, trials, presentations, clinical interests, and much more. Filter and display how Experts relate to one another, through shared research, trial activity, education, and organizations. Each Expert Dashboard instance is fully customized to your project's needs. Brand personalization, integration of sales data, inclusion of third party surveys - the sky's the limit! 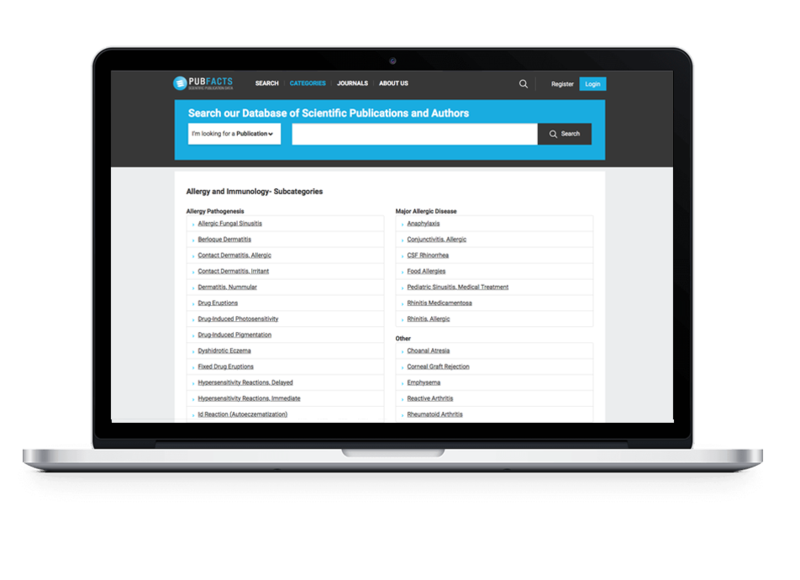 Allow scientific team members to tag and group updates by drug, disease, and topic. Securely share competitive updates among internal personnel, and receive updates in areas of interest. Help teams stay on top of new and important articles each month in organized communications. 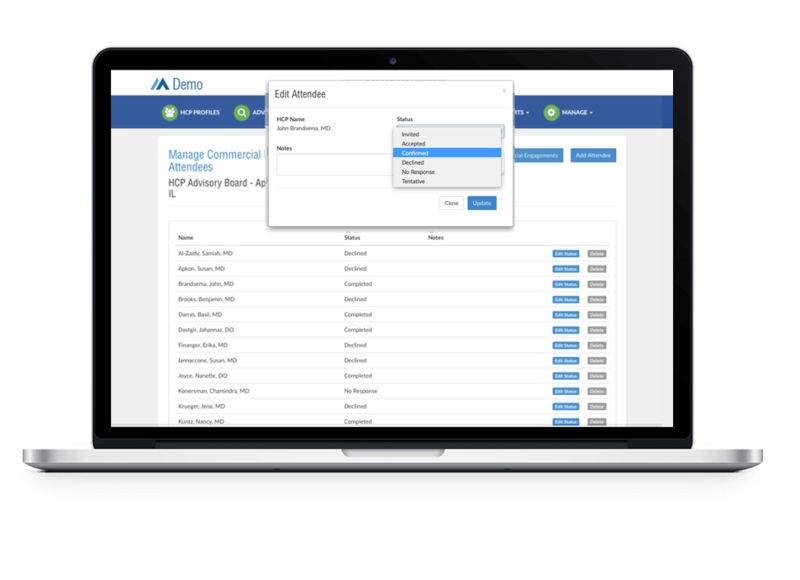 Allow medical affairs and agency personnel to parse and tag new releases. 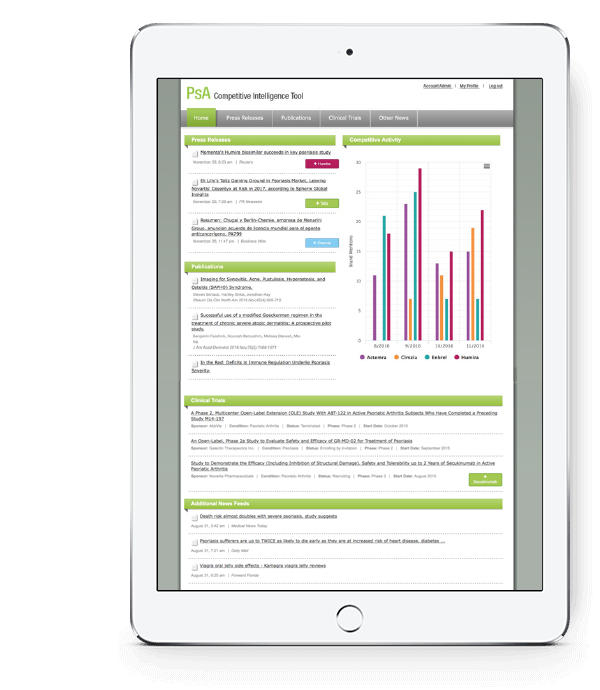 Analyze impact of publications by category, competitor, and team activity. 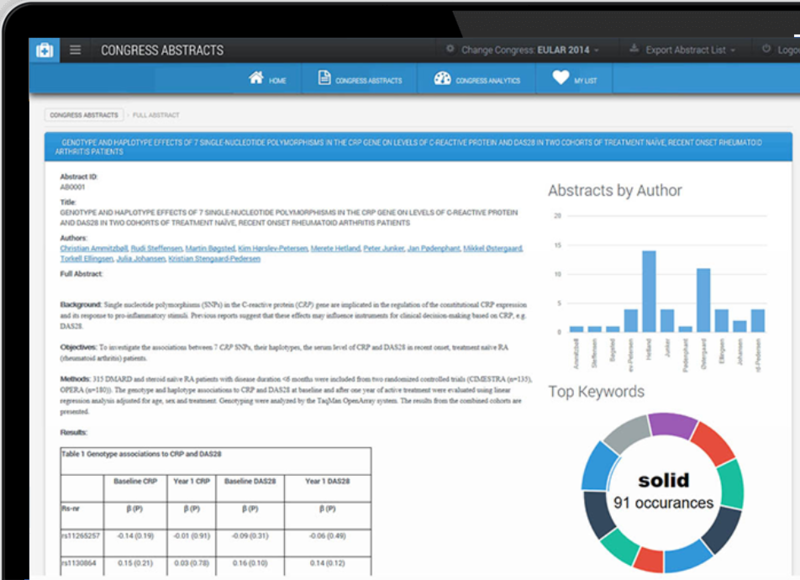 Pull important Congress abstracts and programs into internal portal prior to key events. 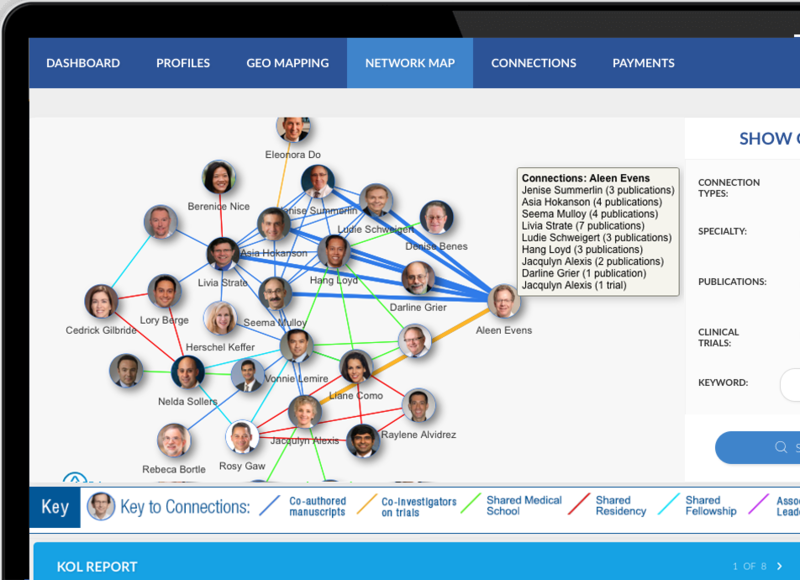 Central source for recording interactions and event attendance during conference. Store important resources, posters, and congress activity for future analysis and understanding. Manage invitations and attendance of upcoming Advisory Boards, Speaking Events, and other commercial and non-commercial engagements. Track activities by expert, engagement type, date, location, or any other factor over time. Manage and Review individual and group commitments and availability calendars.